Renmar will be showcasing their size reduction recycling equipment, from the range of impressive Engin Plast granulators to market-leading ISVE industrial shredders. The granulators start with the baby 20-15 granulator which is capable of throughputs of 15-35kgs/hr. The range goes right up to 150-80 central granulator which is capable of throughputs of up to 3,500kg/hr. We even have a some of the 20-15 granulators in stock. If you need to reduce bulkier items or at a greater throughput then Renmar can introduce you to the ISVE shredders which consists of single, twin and four shaft shredders, in addition to the unique combi-series. The combi-series houses a granulator cutting chamber underneath the shredder to reduce the footprint necessary. 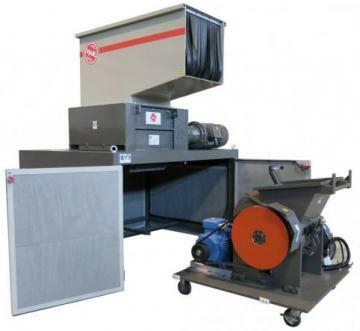 The shredders available in the range have throughputs of 80kgs/hr to 3.5t/hr. For more information, visit Renmar’s website and stop by their stand 5N79 at the show.